Swatch It Up! : And Awaaaaay We Go! This is just a starter to say hello... And awaaaaay we go! We won't even *start* talking about my nail polish addiction yet... That's a long and twisted tale. 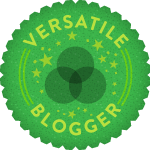 Thank you so much for the warm welcome - what an amazing community of bloggers! !